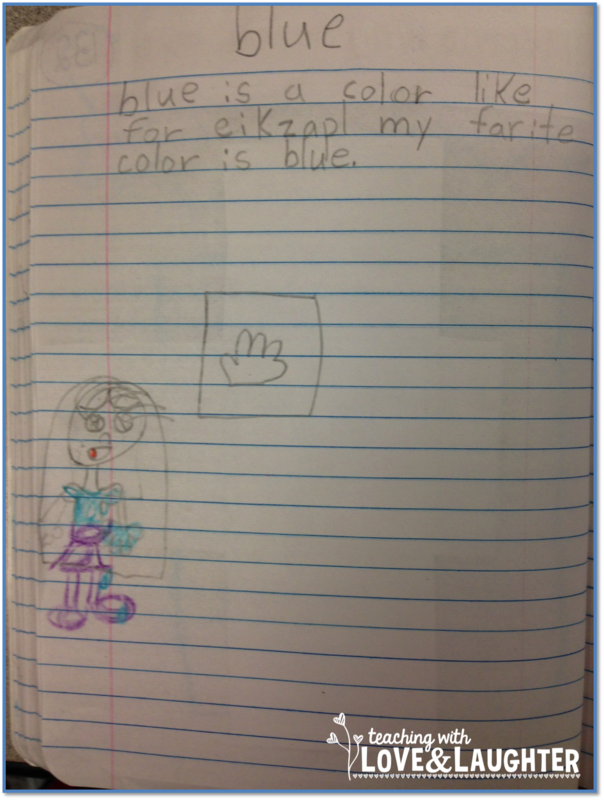 My first graders have spent the entire school year working in their interactive notebooks. I cannot begin to tell you what a wonderful experience it has been. It took two whole notebooks to cover an entire year's worth of reading, phonics, sight word, and grammar activities. They use their notebooks every single day. If they are not adding a new activity, then they are revisiting previously learned material. It's all at their fingertips! Such an important and valuable learning tool. 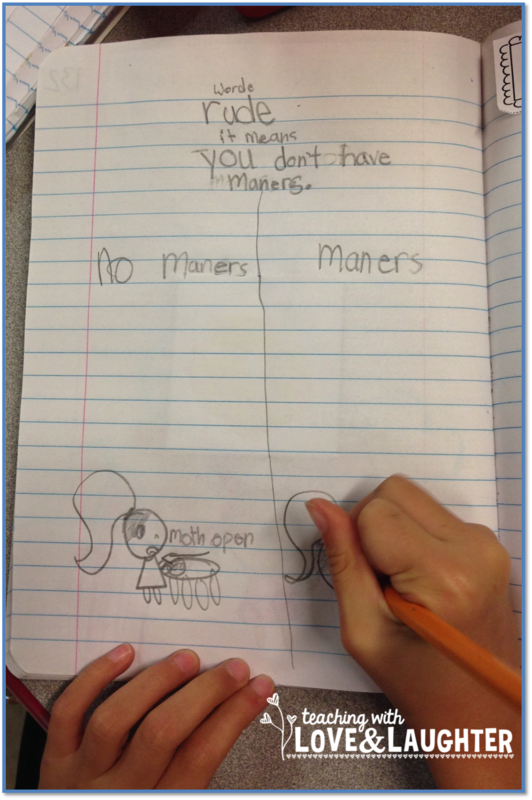 My students treasure their notebooks and really look forward to using them. I've blogged quite a few times about how they complete the left side of their books. We call it the creative side. I used to tell them what to do on the left side, but, a few months ago, they told me they were ready to come up with their own activities to show their creativity and to further interact with the material. Today, after learning about a new phonics rule, one of my students thought it would be fun to choose one of the words that followed the rule and define it and illustrate it. We've been working a lot on how to use the dictionary, so I was thrilled with this idea. And so was the entire class. They did such a great job. And, they did it all by themselves. I busied myself with other things and, for 17 minutes, you could have heard a pin drop. I happen to know it was exactly 17 minutes because I always challenge them to finish within the time frame I have set. They did a great job, huh? This is just one of many, many fun activities we have completed all year long. If you haven't started interactive notebooks yet, then I challenge you to get on the bandwagon. This is the time I started them last year. And then this year, I jumped in head first, and it was a game changer for sure! 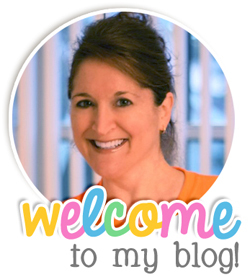 Click here to see all the interactive notebook blogging posts I have written this year. 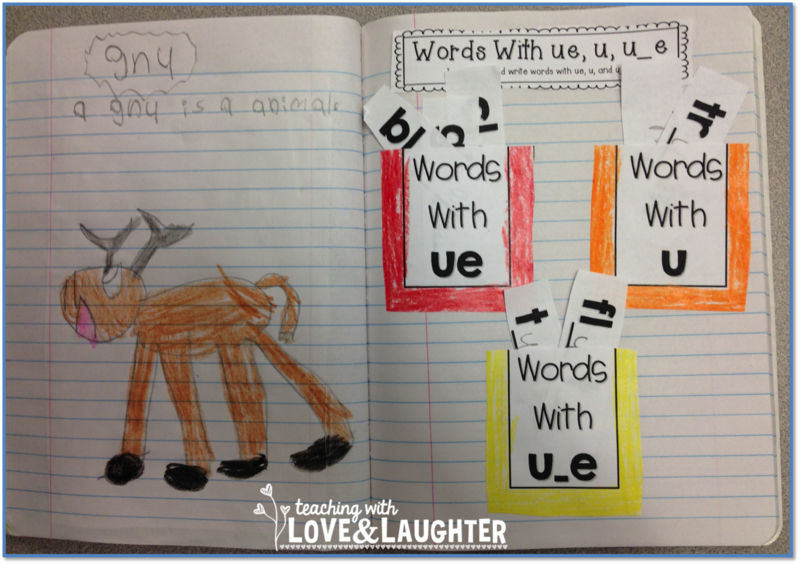 Click here to see all the interactive activities I have in my teaching store. What a fabulous idea! 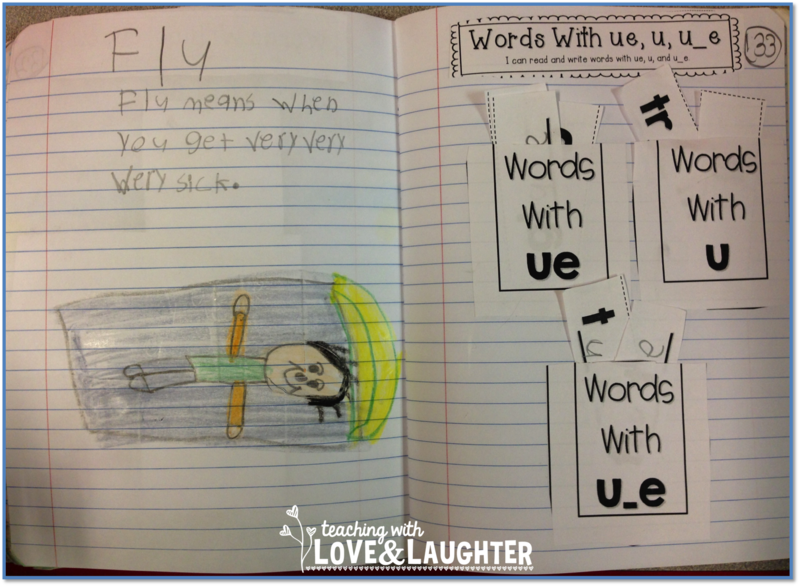 I use interactive notebooks for reading, but never thought of making it phonics and grammar, too. I am adding these components starting on Monday. Thanks! Best invention ever! Such an invaluable learning tool! I love interactive notebooks too! Your activities are adorable and oh my gosh could your students' responses be cuter?? For example, "for eikzapl" :) Too cute! 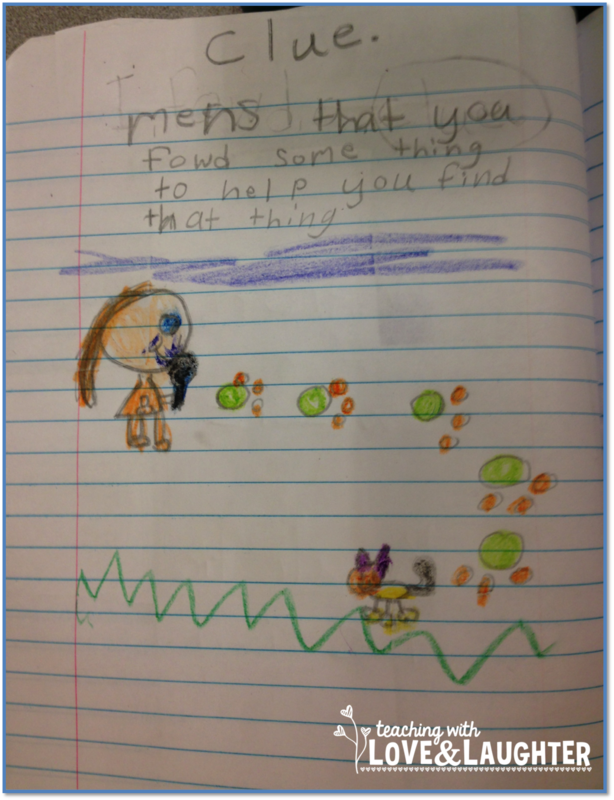 I'm sure you're so proud of them - really impressively creative writing for first grade!